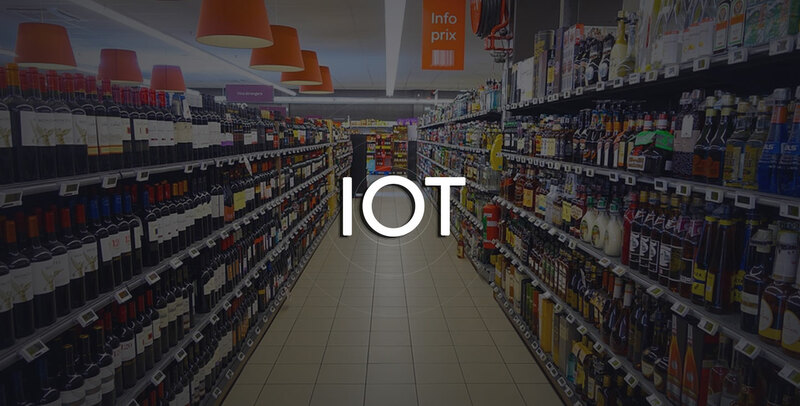 The Internet of Things (IoT) is not just defining how we live, connect and play but also re-engineering and revitalizing business processes across different sectors. Bringing objects, consumers and activities in the digital loop, the Internet of Things (IoT) are ushering innovation and empowering businesses to capitalize on the emerging opportunities driving ROI and customer experience. In the today's post, let's examine what difference IoT can make to your brick-and-mortar business. Thanks to data visualization technologies like RFID (Radio Frequency Identification), inventory tracking has got easier and can be done with more sophistication. Here is what you can do. Use the insights gained to optimize your supply chain, drive sales and add value to CX (Customer Experience). Use Internet-enabled smart tags to smartly manage prices of products based on their demand, availability, and turnover. Price-management is a key tool in ensuring the success of promotional schemes and exploring additional revenue streams like upselling and cross-selling. Improved synchronization of data ensures a consistency of prices between online and physical stores. Make shopping experience of customers comfortable and rewarding with IoT-enabled lighting and temperature automation system. Interestingly, the cost-effective energy consumption also cuts down electricity bill and, hence, the overall operating cost besides making you part of the noble Go-Green initiative. Equipping your IoT ecosystem with robots, you can ease your job, save time and money, and mitigate risks. They can be deployed to take care of the supply chain chores like stock replenishment, product assembly, hazardous materials handling and much more. IoT-connected digital signage can be used to strengthen supply chain. It pushes content to stores in real time, customized for specific stores, cities or regions. The audio and visual multimedia content can serve varied purposes by providing wayfinding to engaging shoppers with the advertisement. Implement the right QR or Barcodes technology and let consumers know more about your product to make a smart choice. Modern 2D Barcodes can store up to 7000 characters of information, whereas the predecessor, i.e., 1D Barcodes can store just 85 characters. Growing usage of smartphone and availability of easy-to-use QR or Barcodes reading apps, have made consumers more informed than ever. Deployment of robots with touch screens at your store is a great idea to drive user engagement and sales while cutting down the operating cost. Shoppers would be able to easily browse your inventory, make a choice and pay the bills. If you deal in clothing and apparel, this is for you. Customers can try on different clothing virtually and shop to their heart's content. Besides driving customer acquisition and satisfaction, this will help you check return and refund that often cut through your productive times. Customers can call for assistance or check inventory availability, product details, prices, and other key information via their mobile device or wearable. The in-app engagement considerably contributes towards improving in-store sales and ROI. Like eCommerce, with an IoT tool, sometimes referred to as beacons, you can grab customer insights linked to your brick-n-mortar business. Beacons work in tandem with Bluetooth low energy (BLE), geolocation data and hardware and software. The setup tracks the shopping frequency of your customers, their purchase histories, interests, and preferences. Leveraging the actionable data, you can augment your retail strategy thereby making shoppers experience more rewarding at your store. Wondering how to make IoT work for your business Or want to revamp your existing IoT ecosystem Or Just want to get an app built for any specific purpose Look no further. We are just one click away. Leverage over 12 years of technology expertise and retail industry knowledge and make your business reach the new height.